Cookies have long been used to identify internet users and direct relevant advertising to their digital apparatuses, but Google apparently believes that method has become as stale as baked goods bearing their namesake. USA Today reported on Sept. 17 that search giant Google may be planning to ditch web browser cookies in favor of its own anonymous identifier for advertising, or AdID. According to the unnamed, loose-lipped source who tipped off the newspaper, AdID would effectively replace the traditional method companies like Google use to present web advertising to consumers, while at the same time offering them more anonymity. Although Google hasn't made such plans public, the company certainly has good reason for spearheading the effort - after all, roughly a third of the company's worldwide revenue is generated from advertising. While most internet users are at least familiar with the term "cookie," few probably realize what it actually is: A tiny bit of text containing an identification tag, which is passed from the browser to websites that communicate with it. In their purest form, cookies identify consumers to the website they visit - such as e-tailers remembering web logins upon subsequent visits - but they can also be used for more nefarious deeds. 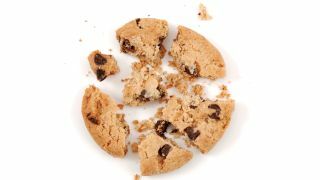 Last year, Google settled a case with the Federal Trade Commission over accusations it had its own hand in the virtual cookie jar of Apple Safari users, which resulted in a $22.5 million (about £15.52m, AU$26.3m) "civil penalty" settlement. Google declined to comment specifically on any potential plans for AdID beyond recognizing that "we and others have a number of concepts in this area, but they're all at very early stages." Apple's iOS 7 is here - and so is the full TechRadar review!